As seen on a London Evening Standard billboard today. 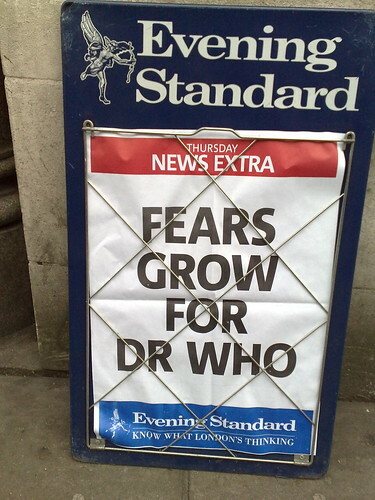 Perhaps they’ve had a preview of the Christmas special? They do know that he’s a fictional character don’t they?